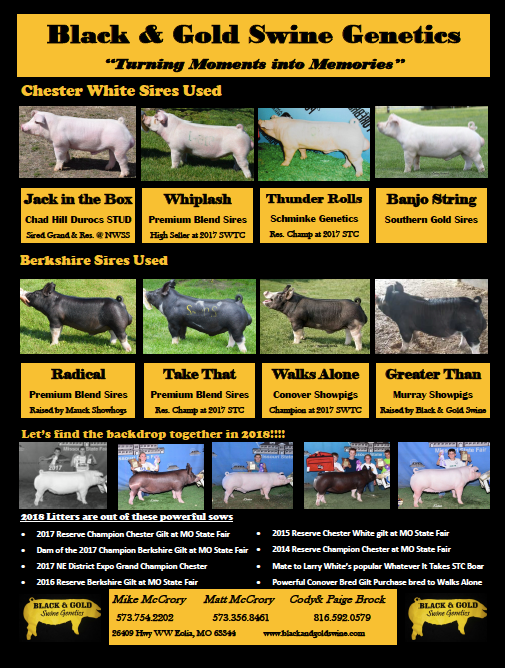 We currently have 95 registered Berkshire and Chester White pigs ranging from December 1st to February 4th, 2018. 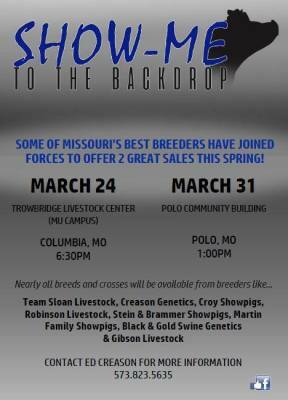 These dams have proven tract records in the ring. 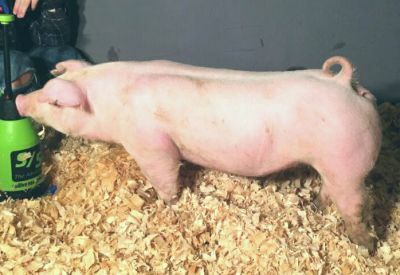 QUALITY PIGS LIKE THIS AVAILABLE!!! 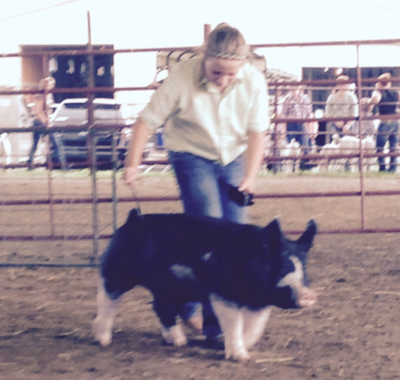 *2015 Reserve Champion Gilt at MO State Fair. This is her deepest litter yet!!! Thanks to all who purchased our show pigs in 2017!!! We have December, January and February Chester and Berkshires available from some of the premiere sires in the country available at the farm, online and at consigned sales. Black & Gold Swine Genetics concentrates on providing quality Berkshire, Chester White and Duroc Breeds for ambitious youth throughout the Midwest.